1. Yield loss from time of sowing trials in WA. 2. Yield loss estimated by APSIM-Canola model for 24 locations in WA. DIPRD development officer Jackie Bucat has compiled data from, and summarised, time of sowing trials for canola in WA (Figure 1). There are variable yields and variable loss profiles for the start of May. However, from mid-May onwards, there is a generally a similar rate of loss across most trials. Overall, the yield loss from delayed sowing is about 15kg/ha/day for the third week of May, up to a peak of 25kg/ha/day for the first half of June. In general, growers could expect to lose more than half a tonne of yield if sowing is delayed from mid-May to mid-June. A decrease in oil percent would also be expected, with later sowing time. DIPRD research officer Imma Farre, has used the APSIM-Canola model to obtain the yield response to sowing date for a wide range of sowing times and locations in WA. The model was run for 24 locations across WA with local climate data for the period 1976-2016 to estimate the yield losses with delayed sowing for a wide range of sowing dates. Simulated yields were obtained for 8 sowing times, at two-week interval, from mid-March to end-June. In the model, it is assumed there is enough soil moisture for the crop to germinate straight away after sowing, for each of the sowing dates studied. The simulations were run for cultivar ATR Bonito and three contrasting soil types. The simulations provide an estimation of expected yields for different sowing dates (Figure 2). The yield response to sowing date has a bell shape curve. The optimum sowing window, or sowing period when yields are maximum, is April for low and medium rainfall locations and mid-April to mid or end-May for high rainfall locations. Differences in maximum yield and in the rate of yield loss were found between environments (Figure 2, Table 2). Table 2 presents the average yield loss in kg/ha/day for each sowing date after mid-May compared to the fortnight before, for low, medium and high rainfall locations. 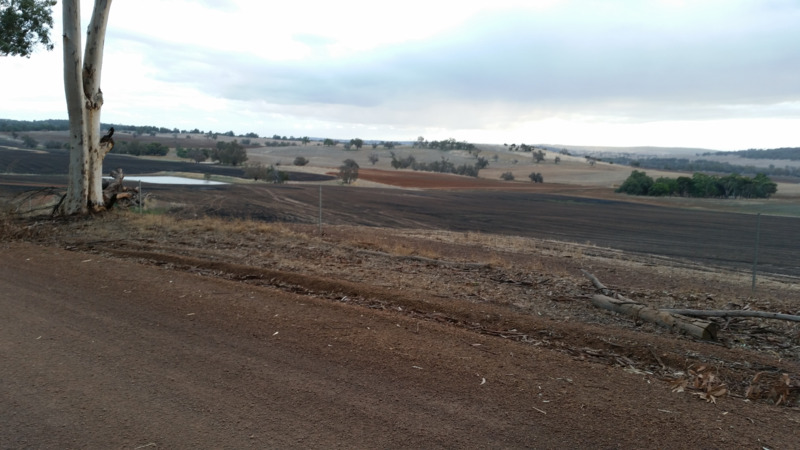 In our modelling study, low and medium rainfall locations (Mullewa, Dalwallinu, Kellerberrin, Southern Cross, Merredin, Hyden, Salmon Gums, Mingenew, Carnamah, Wongan Hills, Cunderdin, Corrigin, Northam, Lake Grace, Wagin, Ravensthorpe, Ongerup) had peak yields for April sowings and the yield loss for delay in sowing was 20-30kg/ha/day for May sowings and 15-25kg/ha/day for June sowings (Table 2). In contrast, high rainfall locations (Geraldton, Badgingarra, Wandering, Gibson, Frankland, Mount Barker, Kojonup) had peak yields for sowings from mid-April to mid-May and the yield penalties for delayed sowing were 10-20kg/ha/day for May sowings and 30kg/ha/day for June sowings (Table 2). Longer season environments have a longer period for sowing without incurring in great yields losses. How late is too late to sow canola?